Over the past couple weeks, if you have been watching Marc D’andre live Fb shows , you probably already know about Three Thirteen. 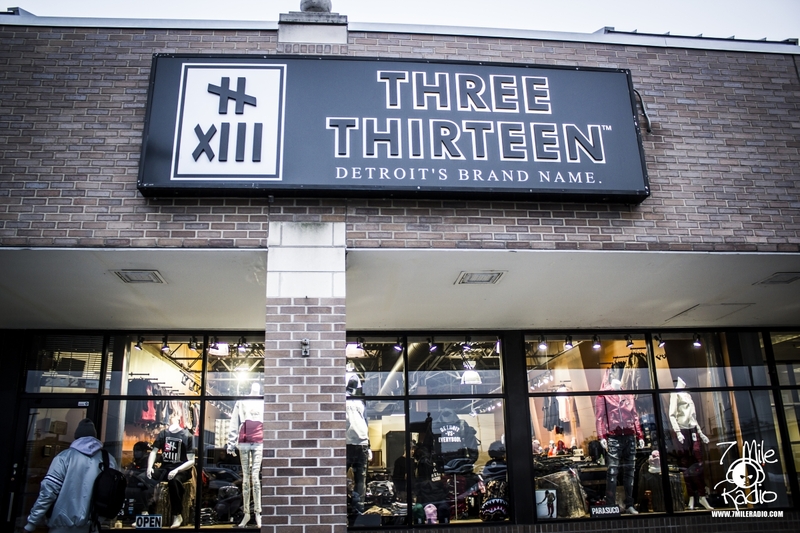 Stocked up with the hottest apparels that you can find int he street (and some that you cant) Three Thirteen has quickly become a pillar in the fashion community in Detroit. Carrying names like Rock Revival, The Fresher Brand, Detroit Vs Everybody and filthy Americans, the boutique appeals to the Urban audience as well as suburbanites. Check out the video and photos below from when we made a stop on Jefferson and Chene to visit Fame and Filthy Rockwell during the Filthy Americans pop up promotion at Three Thirteen.